I owned a property in a nice uptown community in Cagayan de Oro City, Philippines. It is a well gated European styled community called Gran Europa Village. Close to the airport and one of the best golf courses in the country is just adjacent to the place. Cagayan is continuously booming with infrastructure. That is why big time businesses such as SM Prime Holdings never hesitated to open SM Cagayan in the city. 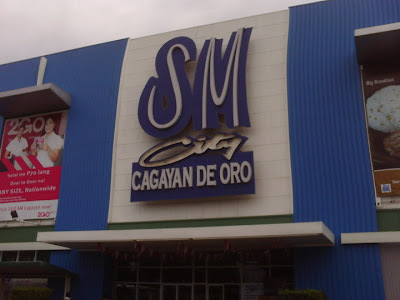 SM mall is located in the uptown area of Cagayan and less than 5 minutes away from my place. I miss this mall. It has everything in it and considered as the supermall in Northern Mindanao. If you are planning to buy a property in Cagayan de Oro City, buy somewhere near this area. It maybe expensive but it will be worth it.